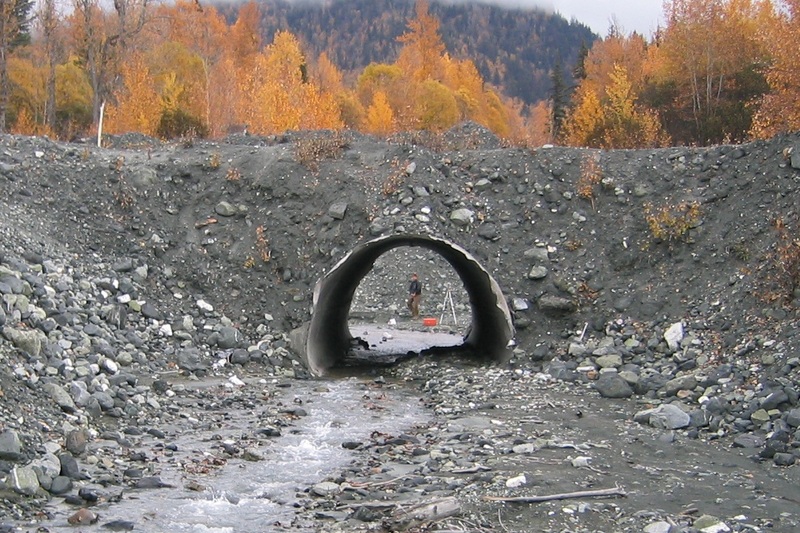 As part of a larger project to upgrade the Haines Highway–which runs along the dynamic, glacially-fed Chilkat River in Alaska–we completed several projects over a ten-year period to improve salmonid habitat. 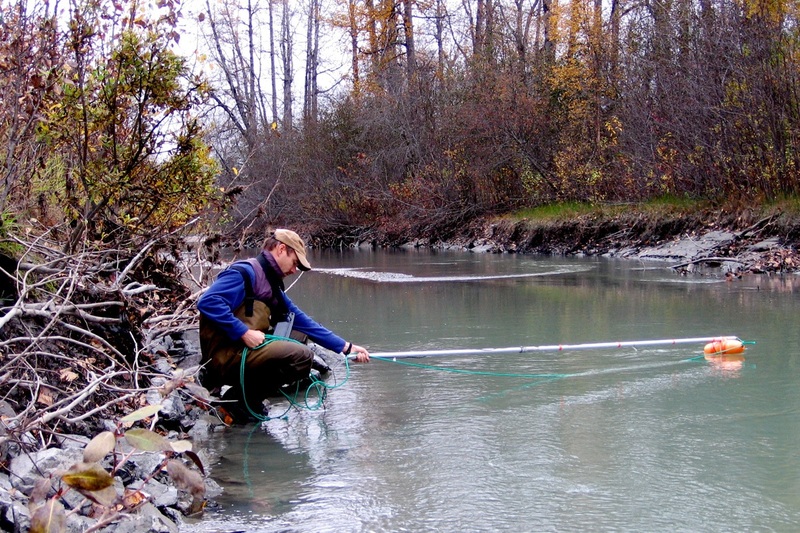 The first project was the 37 Mile Klehini River Salmonid Habitat Mitigation & Monitoring Plan. To mitigate for lost wetlands and river impacts, we improved a clear water tributary within the Klehini River channel. The project involved assessing the impacts of a proposed gravel mine adjacent to the project by evaluating sediment replenishment by natural river processes. 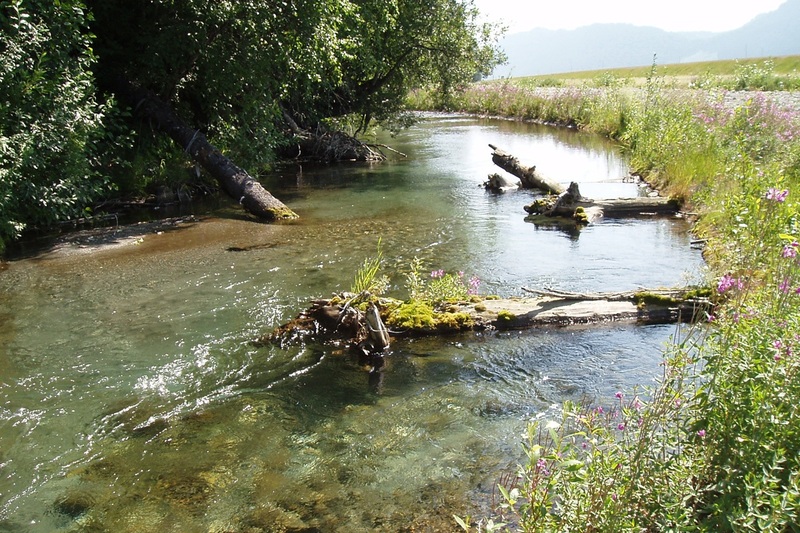 In-stream wood placements and bank vegetation were designed and implemented to enhance the habitat value. After developing consensus among several partners, we wrote a comprehensive Monitoring Plan for the project. The project included 7,000 feet of channel for coho/chum spawning and rearing habitat, relocating 700 feet of existing channel, enhancement of 2,000 feet of existing channel, a 25-foot buffer of shrub/scrub riparian vegetation, and approximately 20 acres of adjacent emergent wetlands. In two subsequent projects (the MP 25-MP 40 Monitoring Plan and the MP 3.5-25), we performed a preliminary-level hydrologic and hydraulic evaluation along 22 miles of the highway. 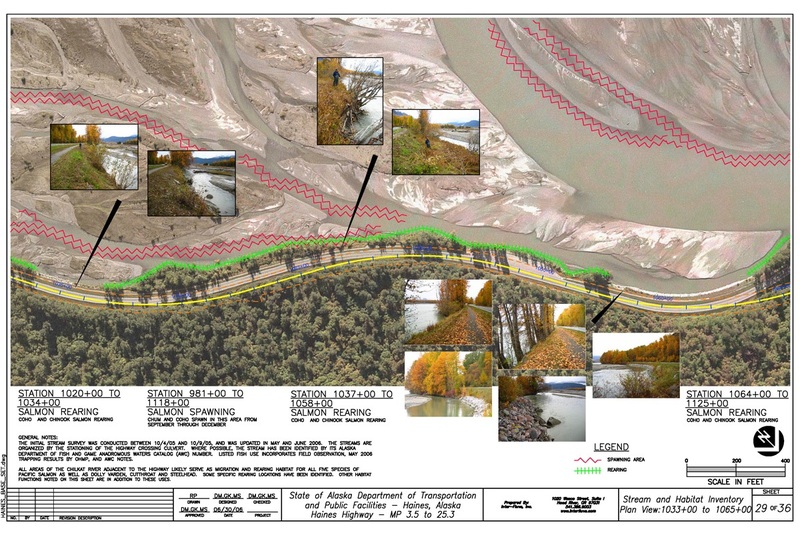 The evaluation included concept-level designs and drawings for erosion protection, preliminary design of fish passage and flood conveyance at larger culverts, evaluation of fisheries habitat conditions, and preparation of habitat mitigation concepts. One of the more onerous–but fun–tasks was assessing 106 existing culverts along the rugged highway on foot. 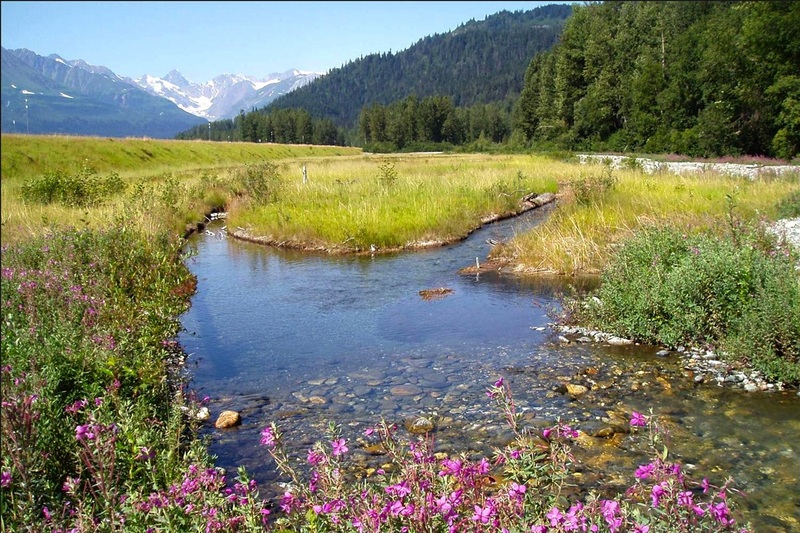 Upgrades to the Haines Highway in 2000 included moving the highway partially into the braided glacial Klehini River to provide an opportunity to create wetlands and extend a clear water tributary – limited and valuable habitats for salmon, cutthroat trout and dolly varden char. 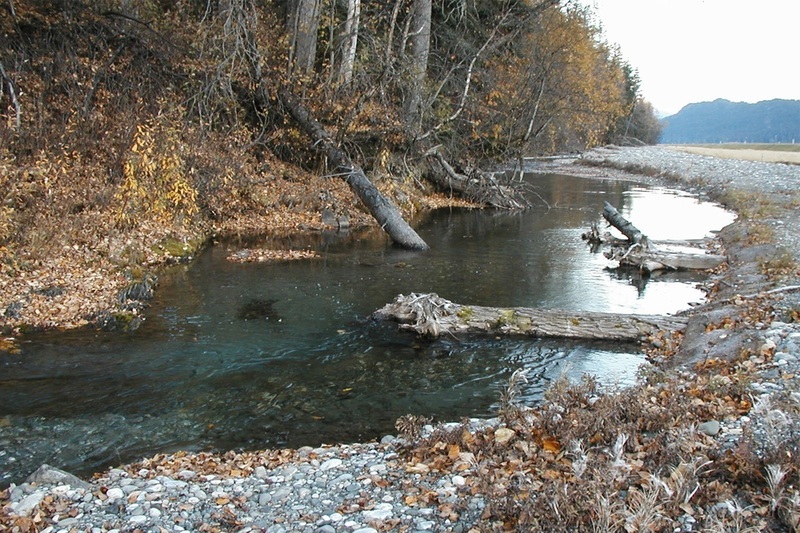 Wetland channels are connected to the new 37 Mile Creek extension and heavily used by salmonid juveniles. Project advocates left their sign of approval. Created channel extending the 37 Mile Creek clear water tributary through pre-project active Klehini River floodplain. Photo of created channel 2 years after construction. Created channel 5 years after. We completed an assessment of essential fish habitat (EFH) conditions along the entire MP 3.5-25.3 project on foot. All 121 culverts along the highway were assessed for condition and flow conveyance. 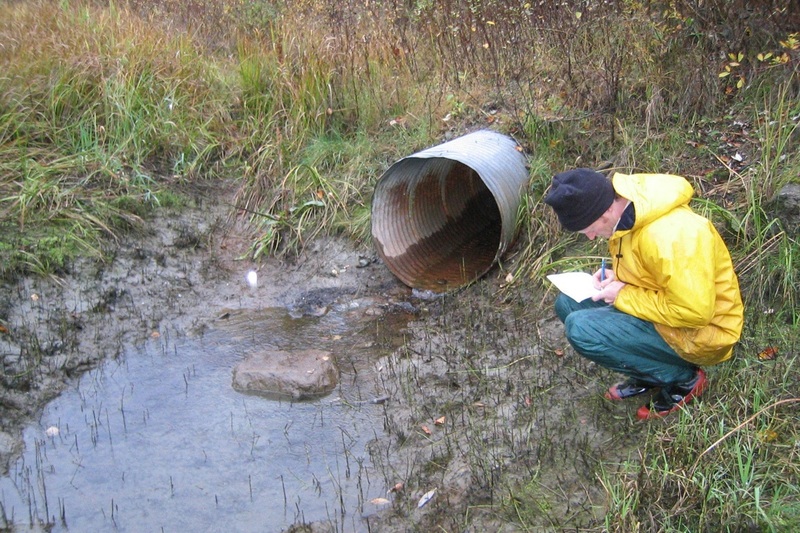 Culverts on fish bearing streams were assessed for fish passability. 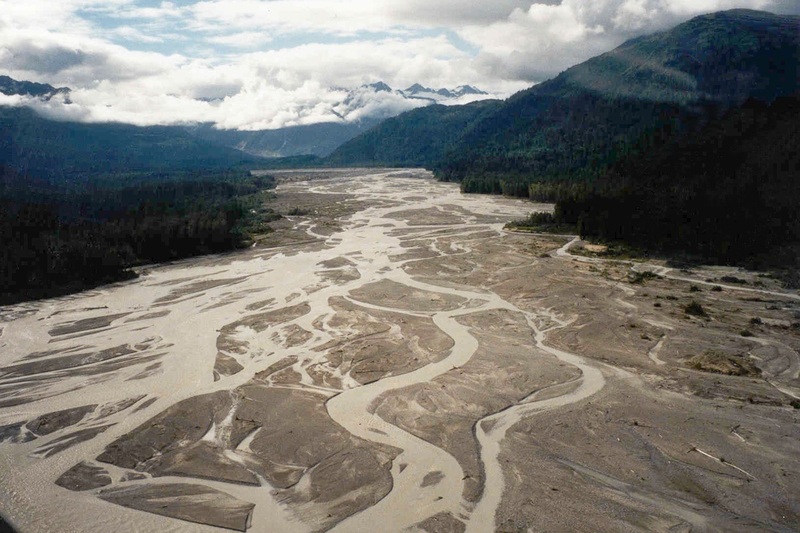 Numerous side channels of the Chilkat River were assessed for depth of scour and fish habitat. The highway crosses two active debris flow paths from Iron Mountain. 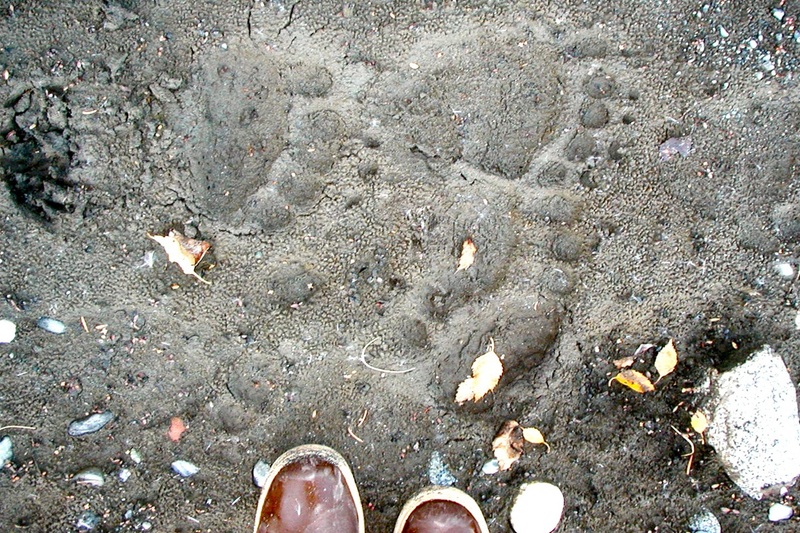 The Haines Highway is located along the Chilkat River’s Bald Eagle Council Grounds. 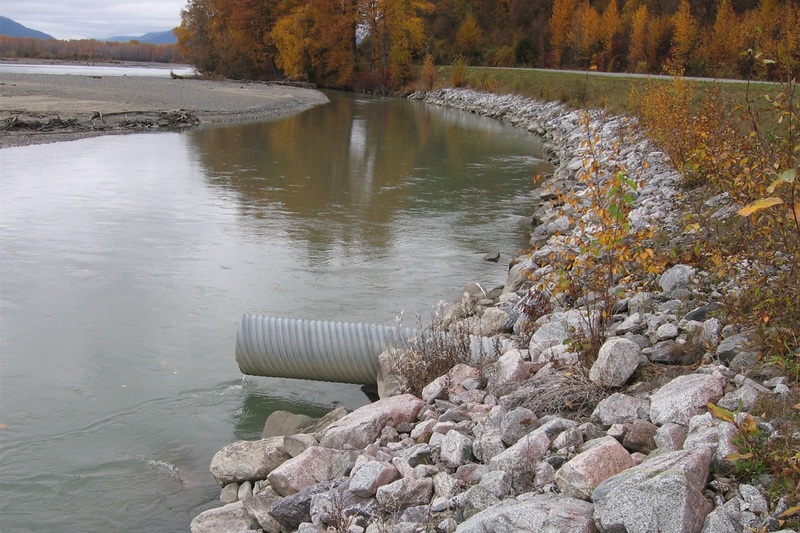 Highway embankment impacts to salmonid habitat were assessed and documented in the EFH.